In my previous post I covered the Allen Ginsberg Photo Outing hosted by the Contemporary Jewish Museum and The Beat Museum. 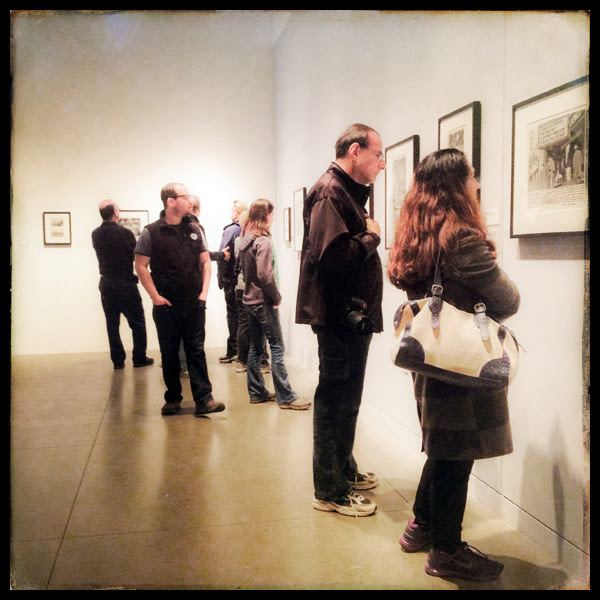 After the groups touring numerous point in San Francisco, we all headed back to the CJM to view the “Beat Memories - The Photographs of Allen Ginsberg” exhibit. 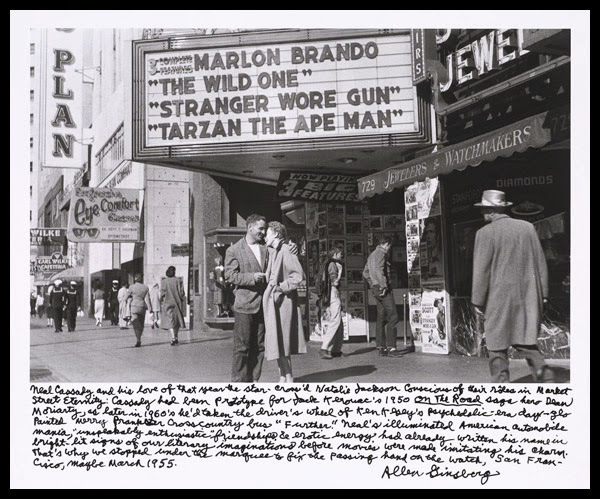 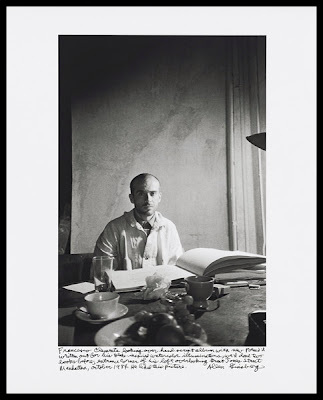 The collection of Allen Ginsberg’s photographs consisted of 79 prints of various sizes, includes a few original from the 1950s and ‘60s, was organized by Sarah Greenough of the National Gallery of Art. 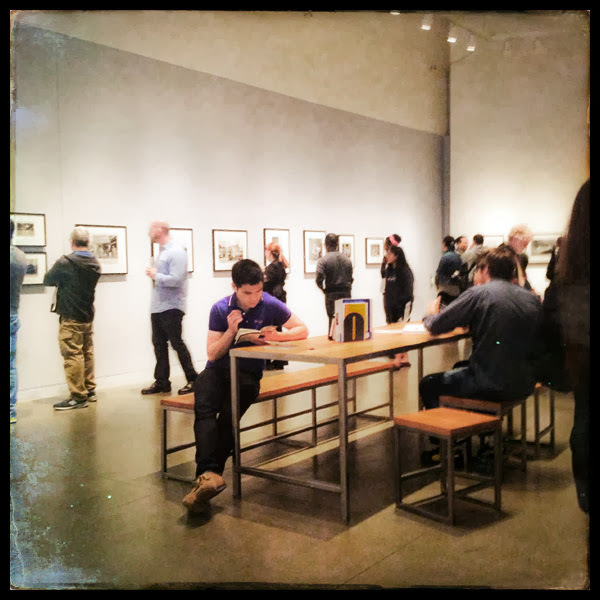 She was also responsible for the recent and successful ‘Garry Winogrand’ exhibit held at the San Francisco Museum of Modern Art earlier this spring, which I also covered. 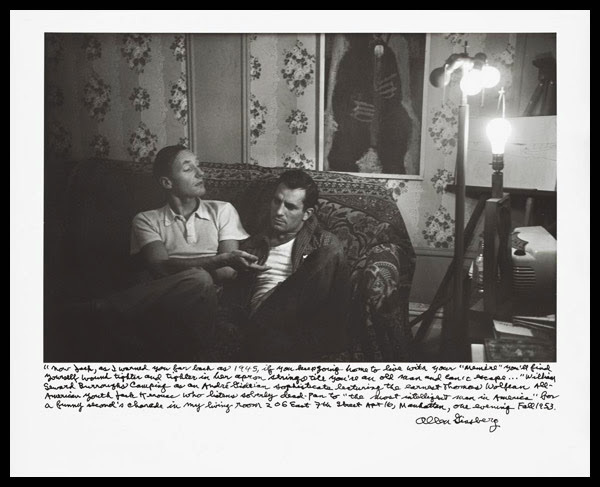 The gelatin silver prints offer the viewer a glimpse into the tightly shared camaraderie among Ginsberg’s friends. 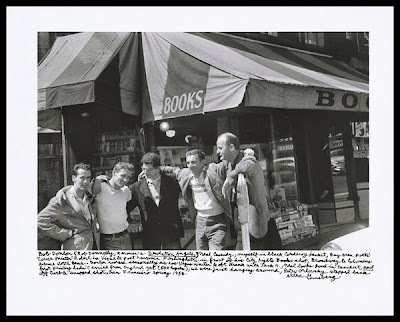 Ginsberg’s recollections of that time is scribbled in his own illegible handwritten script underneath the print’s images, which were made between 1984-1997. 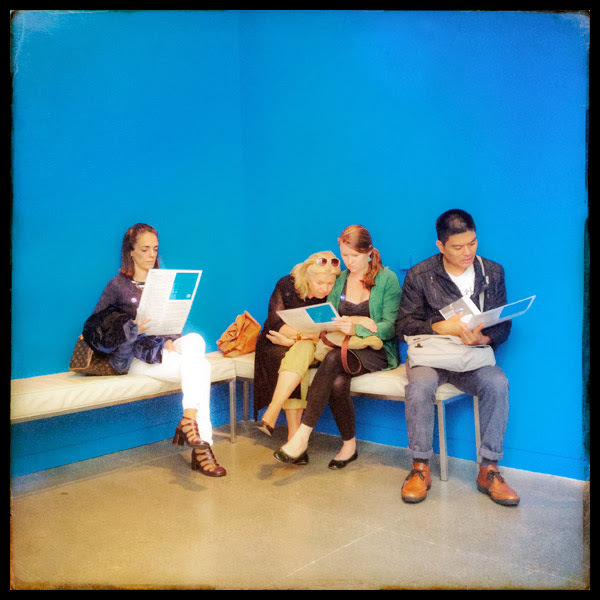 They reflect a commentary from fact to puzzling and the mysterious, illustrating the tricks our memories play with our mind. The photographs are far from perfect, they are mostly casual snap shots, capturing the intimate lifestyle once shared between the individuals pictured. 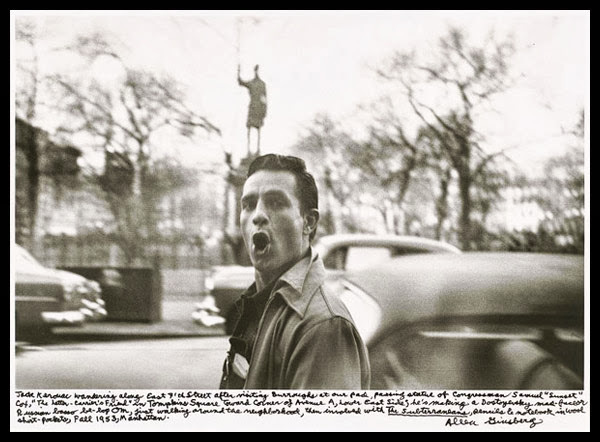 Only a few photographs show deliberate thought to prior taking the image and these are the ones in which the subject posses for Allen. 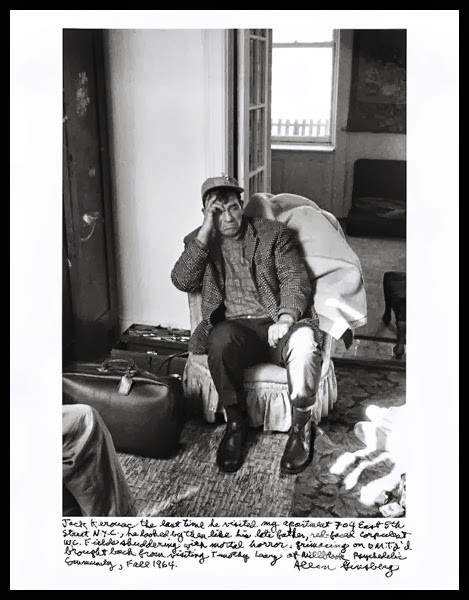 These prints were made from the original negatives, between 1987 and Ginsberg’s passing in 1997 at the urging of photographer Robert Frank, whose photographic book “The Americans” was authored by Jack Kerouac. This would also be the first time many of these images were ever printed. Lawrence Ferlinghetti’s City Lights bookstore was the nucleus where Allen and his friends congregated in the 1960s, placing San Francisco and the Beat Movement on the map. The group remained in the spotlight after Ferlingetti, publisher of HOWL, was sued by the government for distributing obscene literature. 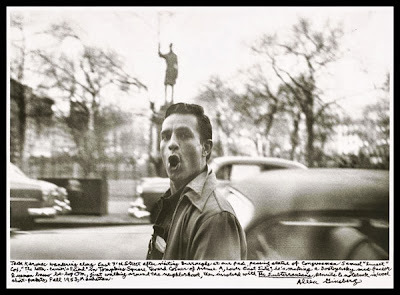 On October 3, 1957, the court ruled that the poem was not obscene. The exhibition’s layout was designed by CJM’s assistant curator Colleen Stockman, who provided a minimalist approach, which in turn allowed the art work plenty of room, so not feel crowded; making it also an enjoyable event for the viewer. There were several tables set up in the middle of the room with books by Allen Ginsberg and to make the whole ‘Beat’ experience complete, in an anteroom, which also faced to the outside, the CJM had installed a reoccurring audio presentation of Ginsberg’s work. For 2½ years I worked on a multi-medium painting, adding, removing and adding elements between a few multiple layers of acrylic paint, all inspired by the series “Typography Graveyard.” A collection of photographs I had taken of telephone poles in the city of Berkeley, California, capturing the abstract remains of torn paper fragments left behind from fliers that were stapled, nailed, thumbtacked or tapped to the numerous layers that remained. 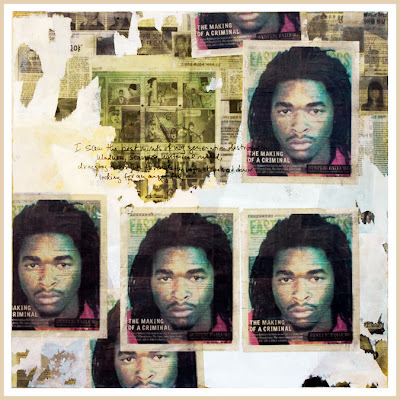 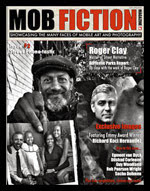 When on another visit to Berkeley and passing a news-wrack, I observed an image of a black man on the cover of East Bay Express paper, with the title “The Making of a Criminal.” I grabbed five copies for use as collage materials for some of the other paintings I was working on, but after several days decided to add it to the canvas I had been working on for over two years. 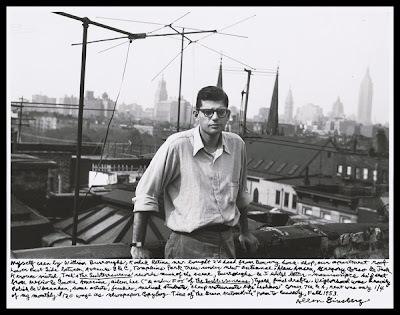 In the meantime I had been reading HOWL and while there was no connection between Ginsberg’s poem and the painting, weeks later I came back to the first few lines of the poem, the newspaper’s headline and the painting, when I realized that the painting was Ginsberg’s four lines of HOWL. 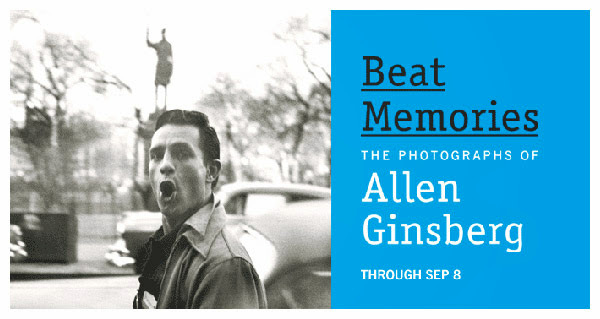 Where: Contemporary Jewish Museum, 736 Mission St., S.F.